Beautiful Live Plants delivered right to your door! Our Live Plants ship via mail-order from April through mid-June. We begin accepting orders on January 1st. Order early! You will select your requested delivery week upon checkout. We ship to all 50 states and territories of USA. No International shipping, sorry. Our Live Plants are also available for Pickup at the Nursery, from mid-April through May 31st . Want more info about our Live Plants? Click here. Most mail-order Live Plants are $4.00 each, plus shipping. 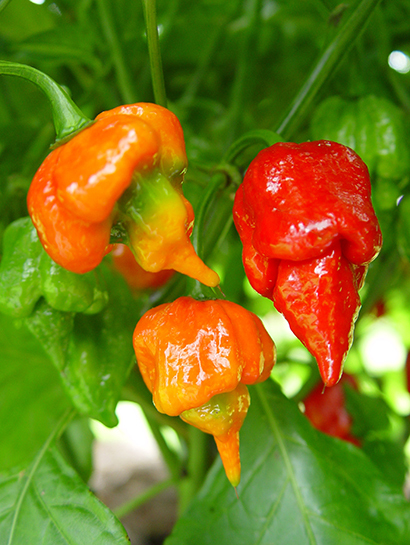 Extremely Hot and most Super Hot varieties are $4.50 each, plus shipping. Minimum order 6 plants, in any mix. Plants are sold individually. You may mix and match any plants in any quantity, in any mix. No need to order six of each. Final order must be a multiple of six, exactly 6, 12, 18, 24, 30, 36 total plants, or any other multiple of six. Shipping Charges for Live Plants are calculated based on your region - East, Central, West or Far. See chart below. Shipping for the first box of 6 or 12 Live Plants is $13 East, $15 Central, $19 West and $24 Far. Each additional box of 6 or 12 Live Plants is $5 East, $6 Central, $7 West and $7 Far. Plants to Far Zone ship via US Priority Mail. Plants to Puerto Rico add $20 Dept of Agriculture fee. ** If TOMATO PLANTS in your order there is an additional Tomato Express Charge of $5 Central and $10 West. Tomatoes ship via 2Day Air, a faster and costlier service. No extra charge for Tomatoes shipping to East or Far Zones. 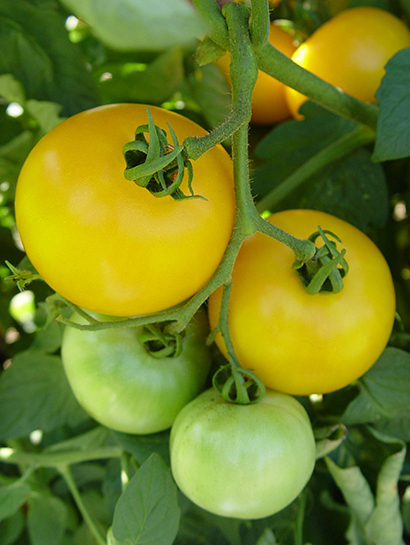 Tomato Plants ship only through the 3rd week of May. After that they get too hot in the box during transit. Most Live Plant orders ship via United Parcel Service - UPS. Peppers and Eggplants arrive within 3 days of shipping; Tomatoes in 2 days. Plants ship Monday through Wednesday, to arrive Tues through Fri. Orders are trackable from My Account. Plants to Alaska, Hawaii and Puerto Rico ship via US Priority Mail. Provide a US Mail address. We encourage you to order early, but take delivery when appropriate for your area. Plants are reserved when the order arrives, not when the order ships. Please read and follow our Planting Instructions which will accompany your order, paying special attention to acclimate these plants back into the sun before planting in your garden. Please do not take delivery too early, a common mistake that brings poor results. Live Plants need warm soil. Here are our Safe Delivery Weeks. This is the earliest that we will guarantee safe delivery to your area, NOT when we suggest that you plant. We can ship earlier, but you will need to sign off on liability if plants arrive cold damaged. Please read our Safe Planting guidelines, for when to plant out in your area. Nights above 55 degrees. Pickup orders will be ready starting Monday of the requested delivery week, and will not be ready earlier. No need to call ahead or advise, but please bring your order# with you. 500 varieties of Chile and Sweet Pepper Plants! 180 varieties of Tomato Plants! 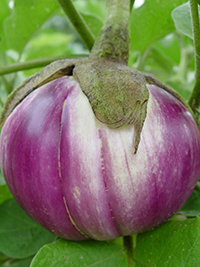 65 varieties of Eggplant Plants! More info about our Live Plants.